Today I will show you some of the polishes I have brought home from Japan. First off, one of my favourite brands, TiNS. This brand can be found mostly in Japan and maybe a few other Asian countries and it has some of the prettiest glitters I have ever seen. Excellent on it's own but also perfect for layering and gradation manicures. Here are the colours I got, swatched on a nail wheel, two coats each. The second brand I will share today is Jill Stuart. Jill Stuart cosmetics have become insanely popular in Japan lately and this includes the nail polish line as well. 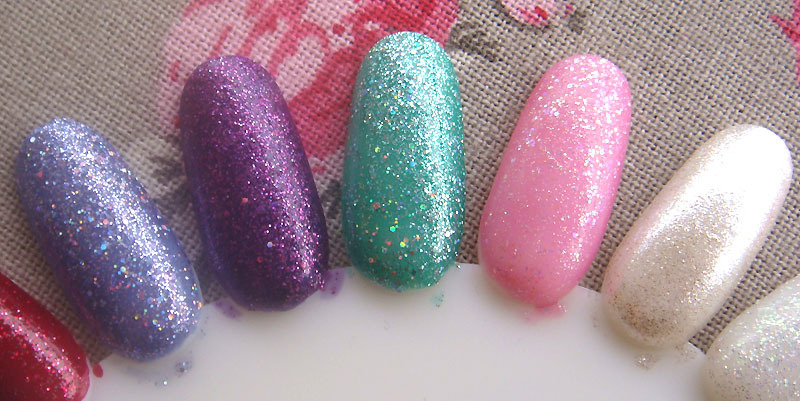 The most impressive thing about these polishes are the lovely bottles. The colours are quite subtle and unfortunately the details are impossible to capture on camera. As you can see, three of the four colours look almost the same in the pic but believe me they are not. 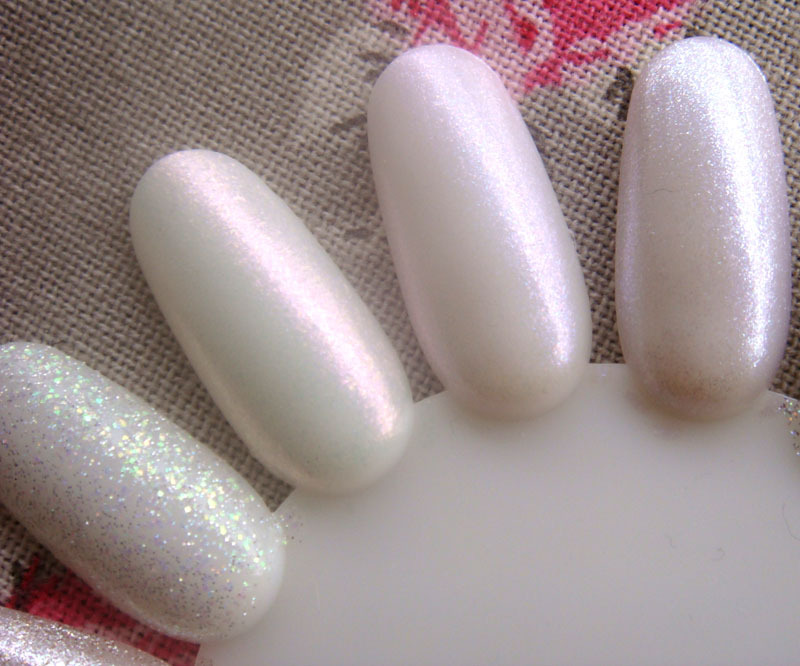 These polishes are great for work or a subtle look like a french manicure with a bit of sparkle. Two coats each. What do you think about these colours? 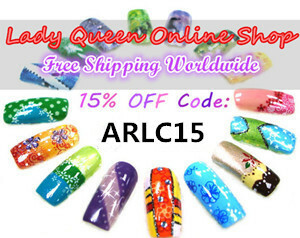 Are you interested in hard to find nail polishes? Love the top set of swatches! So pretty! These are amazing! I especially love the TiNS polishes :). those are the cutest glitters! Ooh, I love those glitters! I have to admit I am dying to get my hands on more TiNS nail polishes and I am trying to discover an e-tailer, without any luck so far. If I find anything I will share for sure.